Jordann, our oldest granddaughter, will be in the third grade next year. Soon after our return from Belgium last March, she and her brother Joshua spent a few days with us. 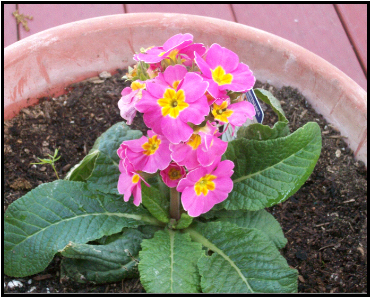 She decided she wanted to do a science experiment and plant the same flower variety in two pots, keep one indoors, one outdoors, and then observe, over time, the flowers grow. 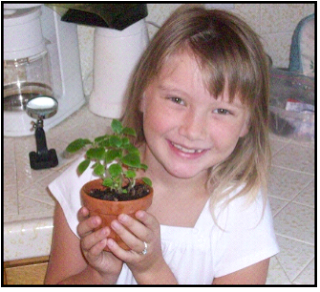 Jordann had learned in school that plants need light to live and grow but had never taken the time to conduct her own test. 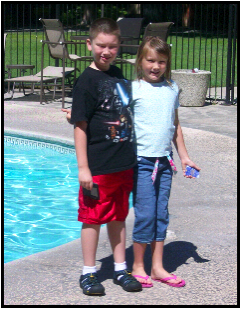 Weeks later,Jordann and Joshua returned to spend a week with us. We had lots of fun. We spent one night at a very nice hotel with a great restaurant and a beautiful swimming pool. 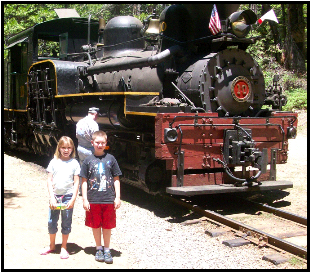 Later the next day, after a huge breakfast, we drove to the mountains to a spot just south of Yosemite National Park, and rode the Sugar Pine Railroad. The SPR was a logging railroad and one of the steam engines used to haul logs out of the forest is stiff huffing and puffing away. Here’s a picture of Joshua and Jordann in front of Old Number 10. The conductor announced over the PA system that Number 10 was built in 1934. That’s just four years before I was born and I’m stiff huffing and puffing too! 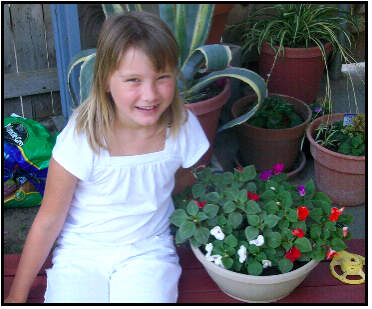 Here is Jordann with her indoor flower. This is Jordann's outdoor flower. Jordann was amazed at the difference in the leaf growth between the plants and the indoor plants' lack of flower blossoms. She will continue to check the plants on subsequent visits. 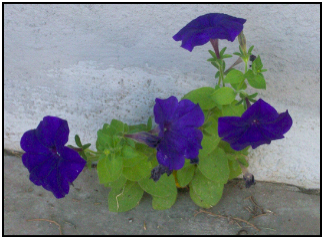 After Jordann and Joshua left for home, I was watering the yard and noticed this blue flower growing from the intersection of a stucco wall and concrete slab at the front of our house. We planted this type of flower as groundcover in the planters that separate the sidewalks from the street in front of our house. Apparently the wind (or possibly a bird) deposited a seed on the slab and the wind wedged it in the crack at the wall. The front of our house faces West so the little blue flower receives plenty of light. But where does it get water and nourishment? I’ll ask Jordannn that question when she and Joshua return next month. The little blue flower suggests that perhaps it is time to read with Jordannn, The Little Prince, by Antoine de Saint-Exupéry. 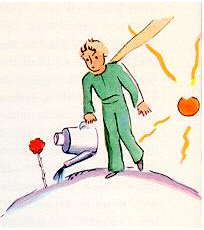 The story tells how the Little Prince learns to care for a flower.